At Costello School, fifth and first grade classes partner up and read! Each student is assigned a buddy to work with throughout the year. 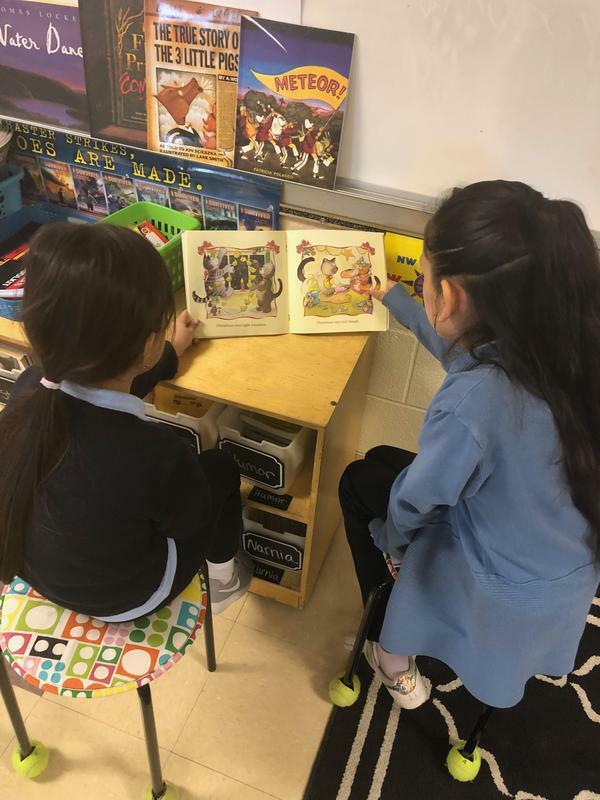 When time is spent with buddies, students take turn reading to practice their fluency and to share their love of books. 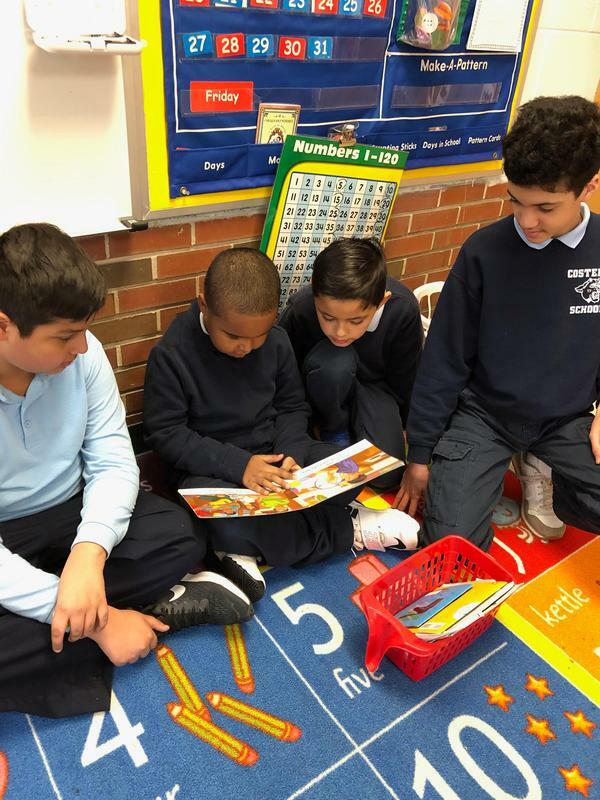 At Costello School, fifth and first grade classes partner up and read! Each student is assigned a buddy to work with throughout the year. 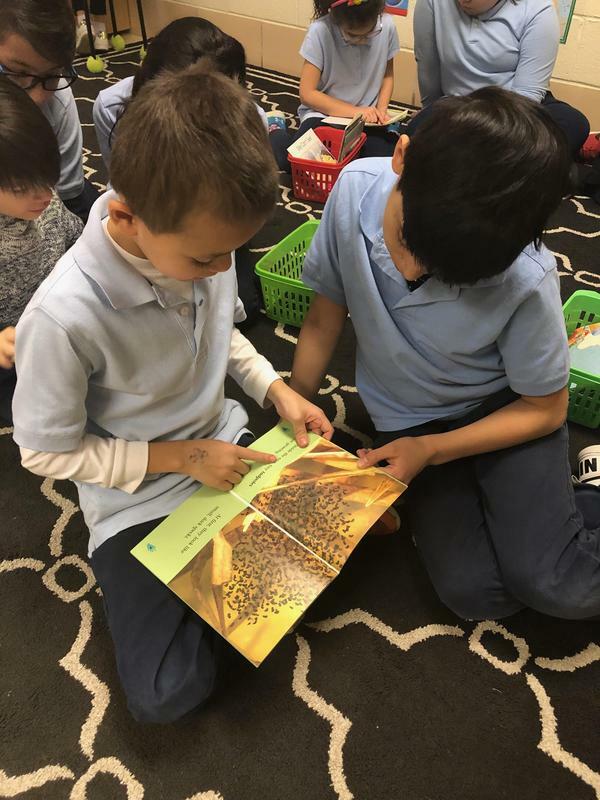 When time is spent with buddies, students take turn reading to practice their fluency and to share their love of books. After finishing a story, fifth grade buddies help first grade buddies log into Accelerated Reader (AR) on Chromebooks and take AR Tests. 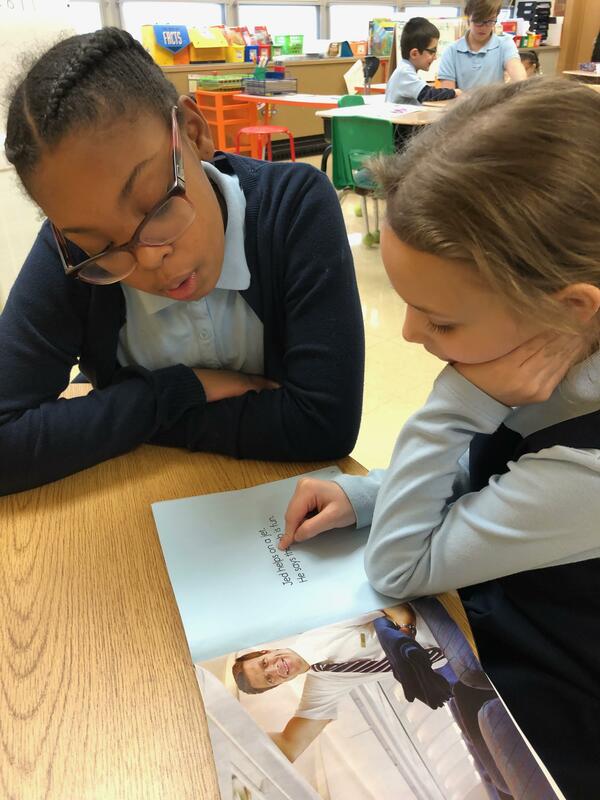 Peer mentoring relationships are built when students work together as first and fifth grade Reading Buddies.